Answering “macro-process” research issues – which require understanding how development processes fit or do not fit in different organizational systems and environments – requires families of related studies. While there are many sources of variation between development contexts, it is not clear a priori what specific variables influence the effectiveness of a process in a given context. These variables can only be discovered opportunistically, by comparing process effects from different environments and analyzing points of difference. 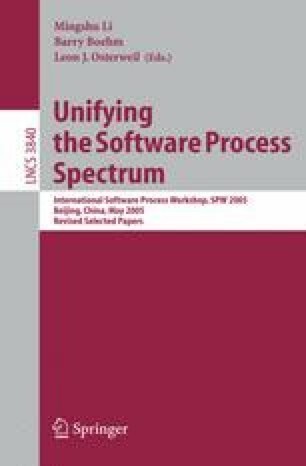 In this paper, we illustrate this approach and the conclusions that can be drawn by presenting a family of studies on the subject of software defects and their behaviors – a key phenomenon for understanding macro-process issues. Specifically, we identify common “folklore,” i.e. widely accepted heuristics concerning how defects behave, and then build up a body of knowledge from empirical studies to refine the heuristics with information concerning the conditions under which they do and do not hold.